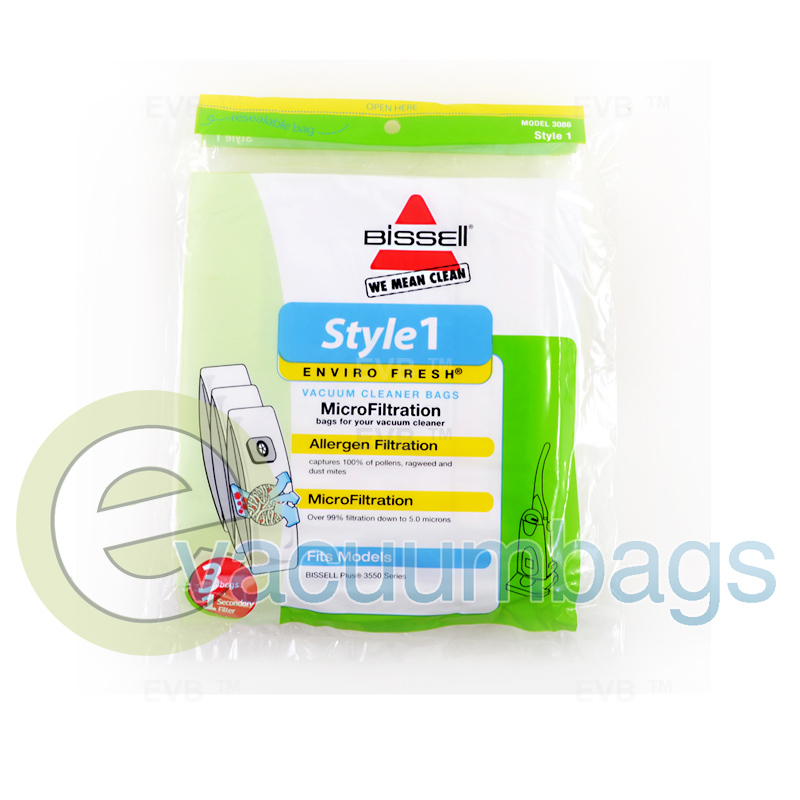 The genuine Bissell Style 1 Enviro Fresh® Vacuum Bags Three Pack is designed for Bissell 3550 series upright vacuum cleaners, and contains three bags and one secondary filter. 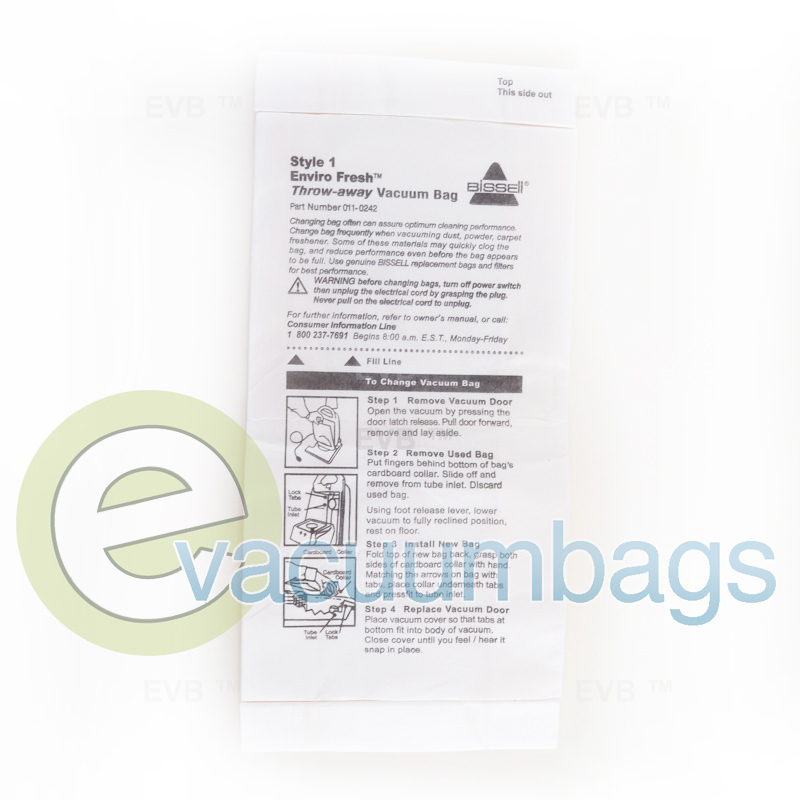 The bags are enhanced by MicroFiltration, which has superior allergen filtration that captures 100% of pollens, ragweed, and dust mites. 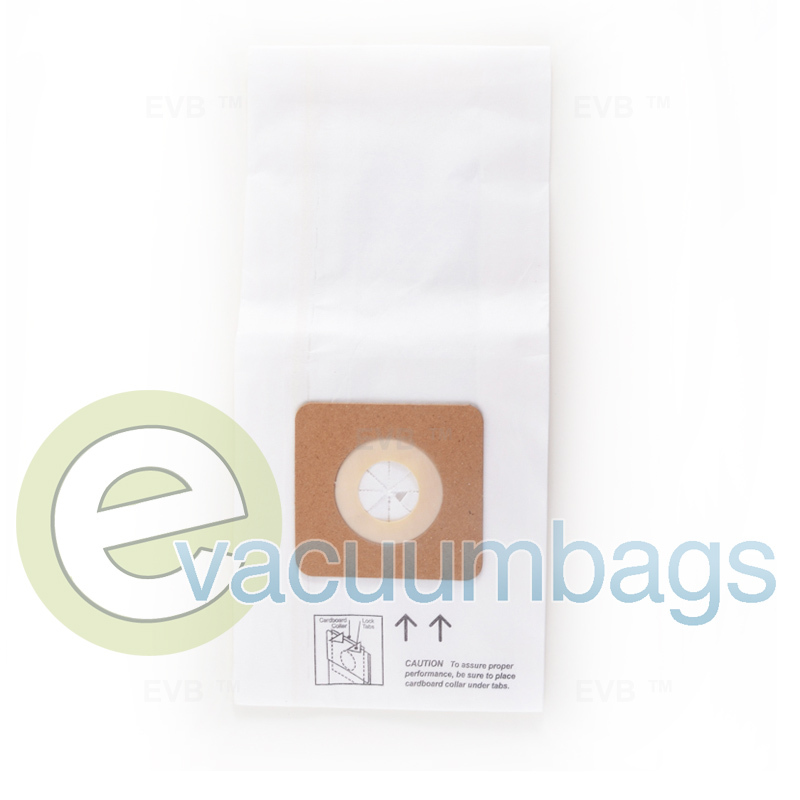 The MicroFiltration has 99% particle capture rate down to 5.0 microns. 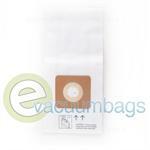 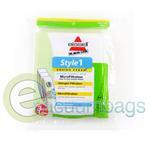 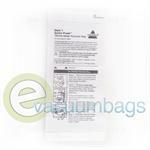 These bags feature a sturdy cardboard mount and self sealing ring for an easier replacing process. 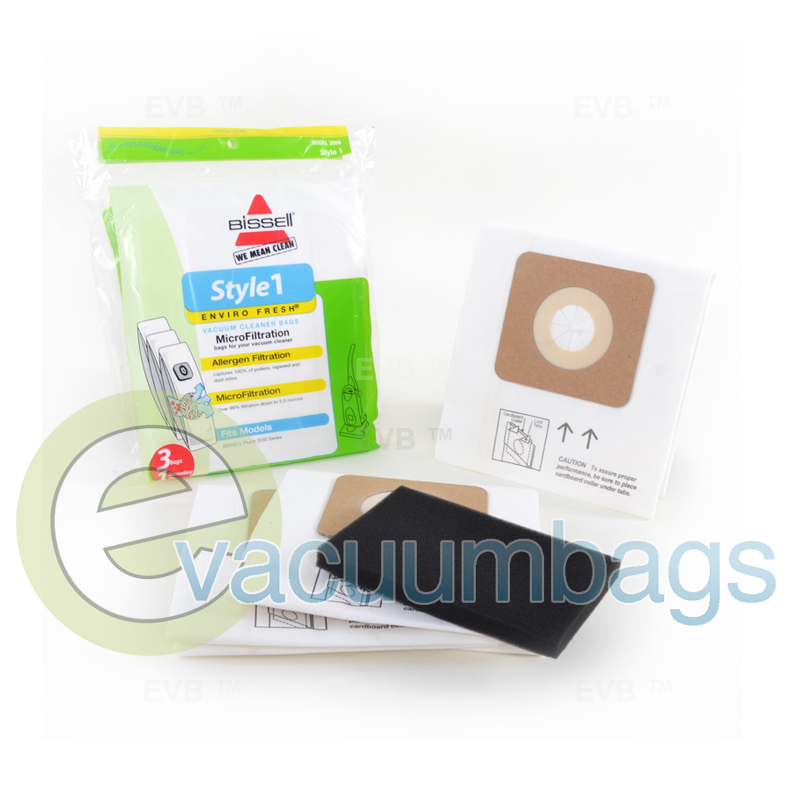 Package contains 3 vacuum bags and 1 secondary filter.